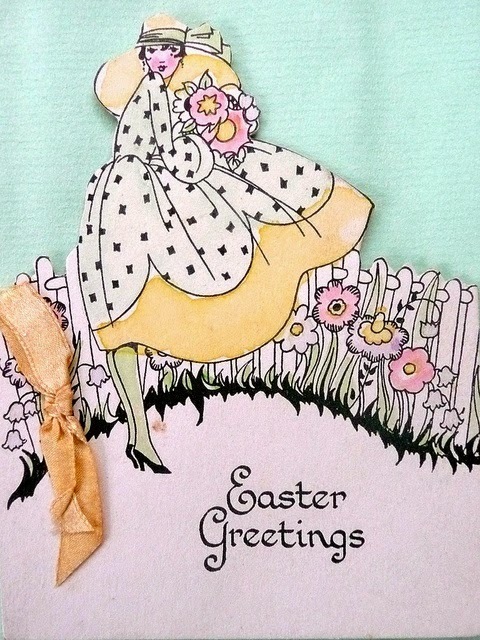 Funoldhag: Happy Easter to All! Easter is almost here - quite late this year. Spring is late where I live in Michigan, too, with the grass just starting to green up but not much going on with the trees yet. I did see a clump of daffodils in bloom on the way home from the grocery store. So it will will come soon and everyone will be glad to have it arrive. It looks like Easter Day will be nice and about the warmest weather we have had so far. Isn't this cute? Angelfood cake covered in seven minute icing, sprinkles and peeps!! I would be glad to eat some of this sugary delight - it just looks yummy. Found this on Pinterest, of course! 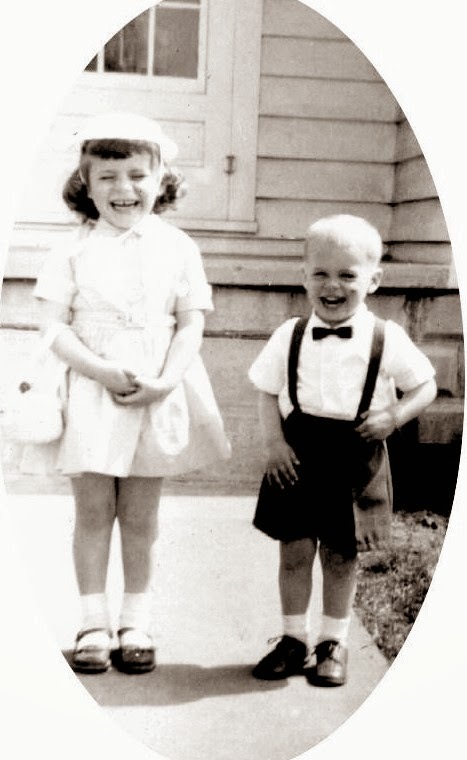 Sherry and Bill, our two little ones back in 1956. Something funny must have been said since they both have big smiles on their cute little faces. 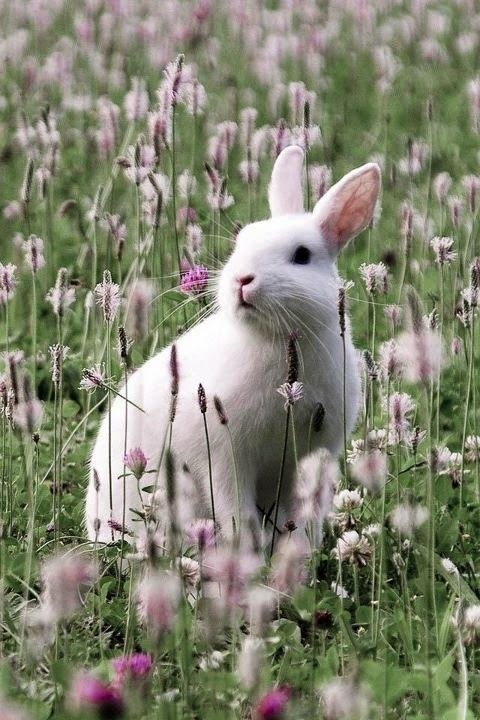 Happy Easter to you Carol...Love your photo's. Happy Easter to you too. Enjoy your steak dinner and time with the family on computer. Happy Easter to you and thanks for sharing the memories of Easters past. Happy Easter. 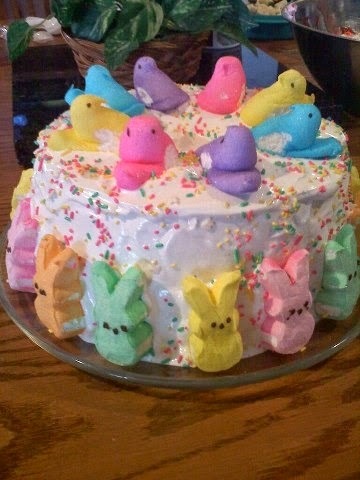 I really like the Peep Cake!